Whole-body 18F-fluorodeoxyglucose (FDG) positron emission tomography/computed tomography (PET/CT) is the standard of care for lymphoma. Simultaneous PET/MRI (magnetic resonance imaging) is a promising new modality that combines the metabolic information of PET with superior soft-tissue resolution and functional imaging capabilities of MRI while decreasing radiation dose. 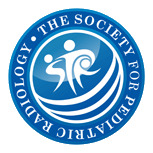 There is limited information on the clinical performance of PET/MRI in the pediatric setting. This study evaluated the feasibility, dosimetry, and qualitative and quantitative diagnostic performance of simultaneous whole-body FDG-PET/MRI in children with lymphoma compared to PET/CT. Children with lymphoma undergoing standard of care FDG-PET/CT were prospectively recruited for PET/MRI performed immediately after the PET/CT. Images were evaluated for quality, lesion detection and anatomical localization of FDG uptake. Maximum and mean standardized uptake values (SUVmax/mean) of normal organs and SUVmax of the most FDG-avid lesions were measured for PET/MRI and PET/CT. Estimation of radiation exposure was calculated using specific age-related factors. Nine PET/MRI scans were performed in eight patients (mean age: 15.3 years). The mean time interval between PET/CT and PET/MRI was 51 ± 10 min. Both the PET/CT and PET/MRI exams had good image quality and alignment with complete (9/9) concordance in response assessment. The SUVs from PET/MRI and PET/CT were highly correlated for normal organs (SUVmean r2: 0.88, P<0.0001) and very highly for FDG-avid lesions (SUVmax r2: 0.94, P=0.0002). PET/MRI demonstrated an average percent radiation exposure reduction of 39% ± 13% compared with PET/CT. Simultaneous whole-body PET/MRI is clinically feasible in pediatric lymphoma. PET/MRI performance is comparable to PET/CT for lesion detection and SUV measurements. 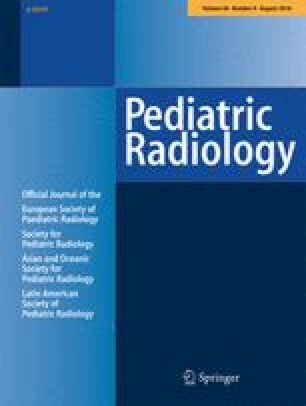 Replacement of PET/CT with PET/MRI can significantly decrease radiation dose from diagnostic imaging in children. Dr. J. McConathy receives consulting fees from GE Healthcare and Siemens Healthcare.